When the latest iteration becomes even more iterative, well, that is cause to take notice. Such is the case with the new Bell Star MIPS Helmet. Not too long ago the Bell Star lineup was reinvented. On the heels of that success, they have now introduced the Star with the Multi-Directional Impact Protection System. “What on earth does that do?” you ask? Well, the MIPS technology works to better disperse rotational energy in the event of a crash, which in turn means that less of that energy makes its way to your skull… which in turn is a good thing. Additional features of the Bell Star MIPS Helmet include a Tri-Matrix composite shell that has been meticulously crafted for superior aerodynamics, an X-Static XT2 silver liner, and a Panovision face shield for premier optics. Taking it to the next level is not easy, especially so quickly after changing the game for the first time. That, however, is what Bell does so well and has done for decades at this point. 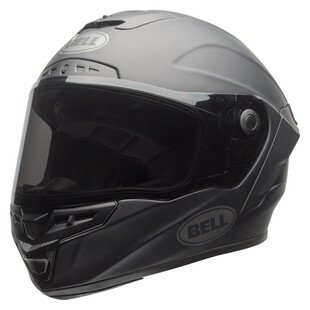 The Bell Star MIPS is yet another example of this trend continuing.